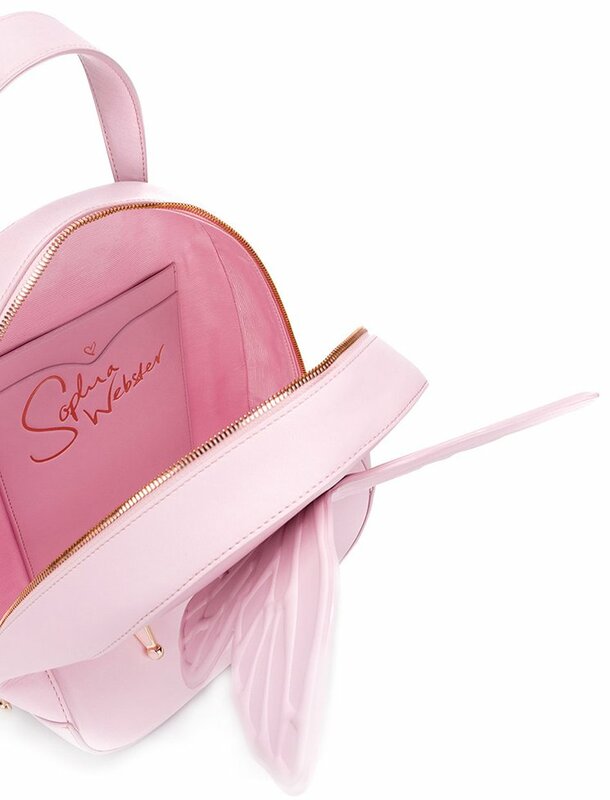 Sophia Webster is all about fashion fun and playfulness. 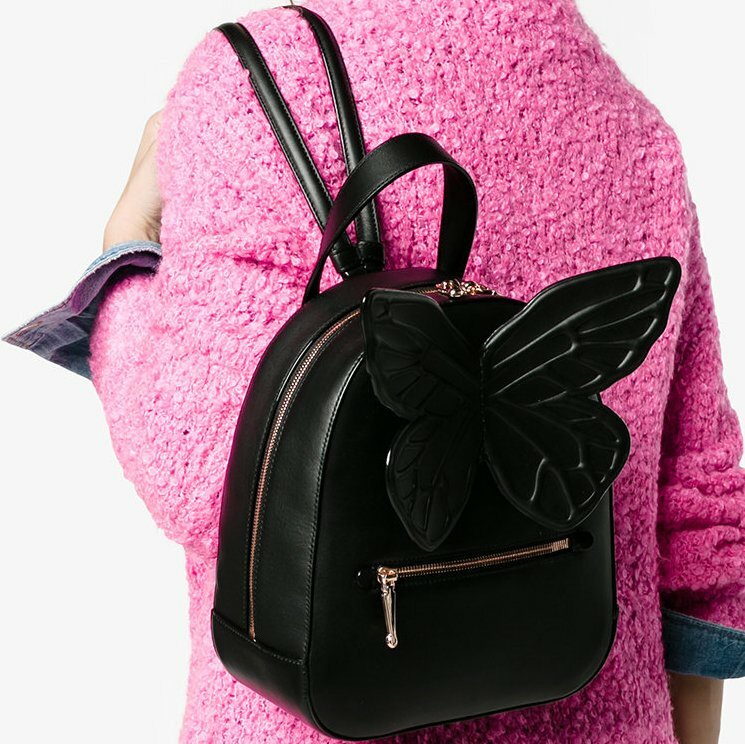 You will find cute and fairy-tale inspired handbags like this fresh Kiko Butterfly Backpack for the Fall Winter 2017 Collection. But not everything is about the look, because this high fashion brand will also spend a lot of time on the craftsmanship and the quality of the design. 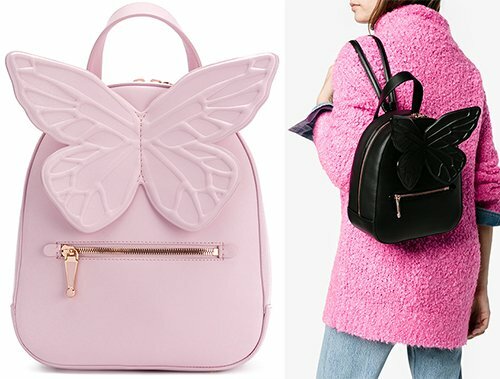 The back of this backpack is embellished with butterfly wings and it will certainly look cute on you. If you focus on the other parts of the bag, you will notice that’s designed in smooth leather and streamlined body. It’s also crafted with round curvy shape, which enhances the cuteness. The front is made with a zip pocket for instant-access to your essentials. What’s more? The top comes with a leather handle for hand carry and the bag opens with a double zip. 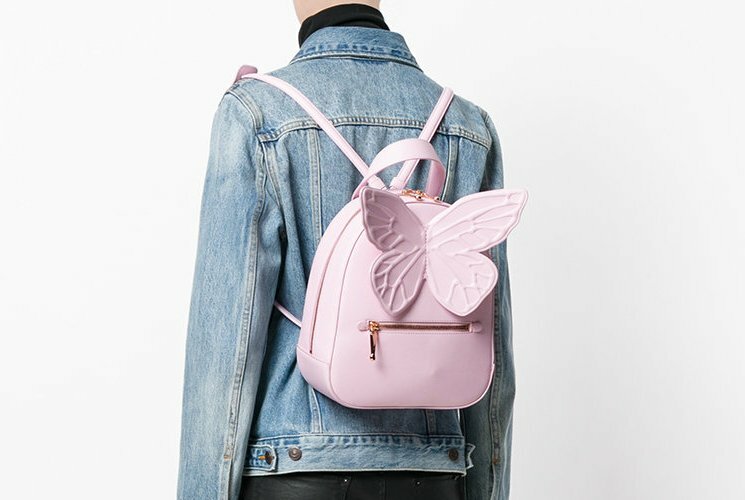 This is a minimalistic handbag because Sophia Webster wants you to focus on the vital element of the whole design, which is the butterfly wings. So what are our thoughts? 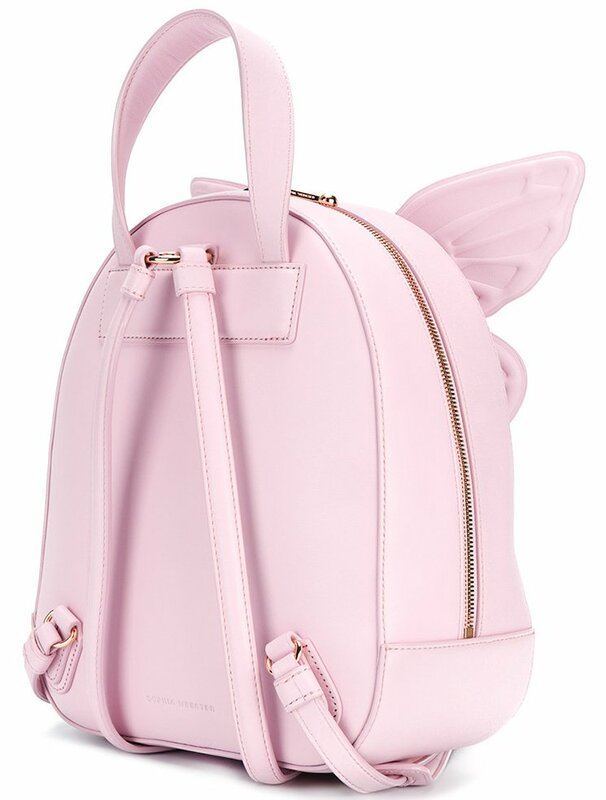 On one hand, this bag is splendid, cute and lovely. On other hand, we wonder whether it’s practical or not. So what do you think? The inside of this bag is quite simple. You open it with the double zip, then you will find one large compartment to store all your necessities. This bag is large enough for your laptop. Inside you will also find leather patch with Sophia’s signature. Measuring 23 x 25 x 10 (W x H x D) cm, priced at $799 USD, €727 euro, £690 GBP.